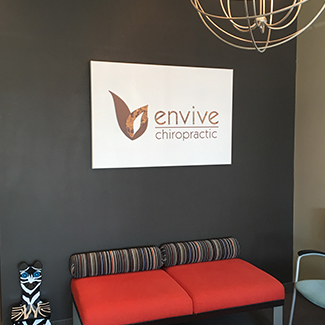 We’re glad you found us and we can’t wait to help you experience the benefits of chiropractic care. 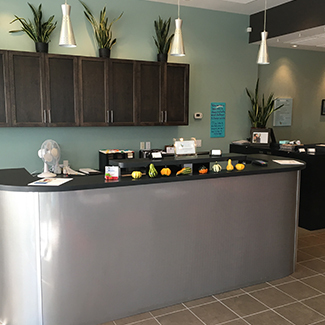 As soon as you enter our warm and inviting practice, we hope you’ll feel like a part of our family. At your first visit with us, we’ll begin by having you fill out new patient paperwork if you haven’t already done so online. Next, a staff member will take you back to a room where they’ll ask a few clarifying questions. After briefing the chiropractor, you’ll then meet with Dr Thackeray or Dr Royer. The doctors will take a few minutes to get to know more about you and what’s causing problems in your body. We’ll then perform a couple of tests and a thermal scan of your spine to show you exactly where the problem is occurring. We’ll point out issues that you can see and explain how chiropractic care can provide a solution. If you’re in agreement, we can perform your first adjustment at this visit. Your first visit typically last about an hour and fifteen minutes. When you return for your next appointment, visits tend to be much quicker than your first. 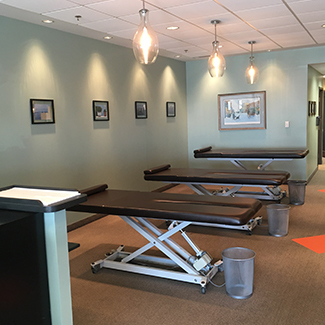 We’ll perform a specific adjustment to your spine where your body needs it most. Continuing care with us after you’re feeling better is entirely up to you. We typically re-evaluate patients every 12 visits and take new scans to see how they’re improving. The most important thing to us is your comfort—we’re happy to help you get out of pain and see you when it returns, and we’re happy to see patients for regular care to help them live their best lives. If you’re wondering how chiropractic care can help you, contact our practice to schedule your first appointment. We look forward to helping you heal naturally!